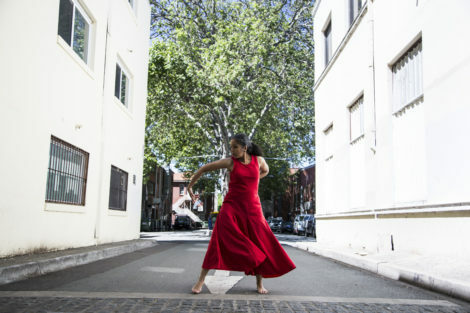 Canberra will be the venue for a bold new dance festival, which will take place over five days in March. 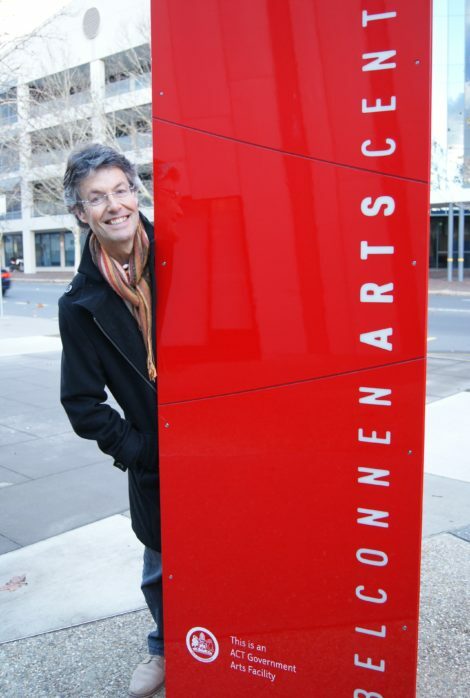 Its scope is broad, its speakers and performers have wide-ranging experience across the art form, and it is supported by the nation’s major collecting agencies. 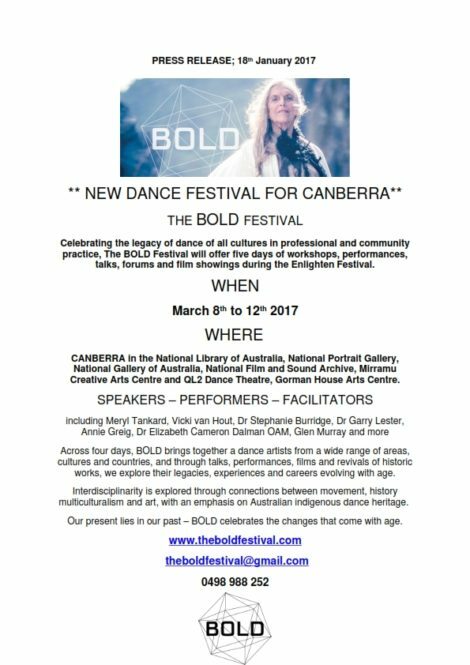 Check the BOLD website for daily program and details of how to register. Nominations for the 2017 Australian Dance Awards close on 28 February. Despite huge funding difficulties, the 2017 Awards will go ahead and be held in Melbourne in November (exact date to be confirmed). For details on how to nominate in all categories go to the Australian Dance Awards website, in particular to this link. These awards are given for outstanding achievement in Australian professional dance. Nominate now!